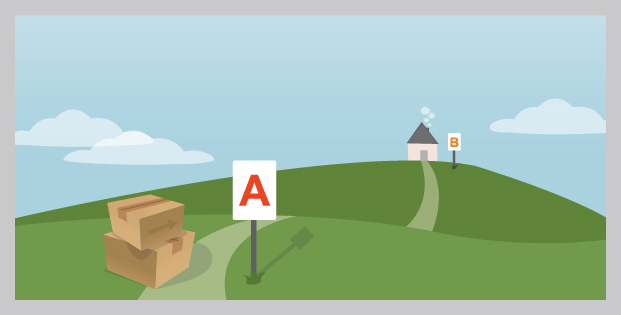 Get From Point A to Point B. Whether you’re moving into a new home, apartment or office building, our moving company will help make your transition as smooth and easy as possible. You don’t have to do it alone – or with untested moving companies. Let us help! We take pride in being Kansas City‘s best moving company. Our movers are here to help in every aspect of your move, unlike other moving companies who only provide help with the lifting. If you need help packing, we can send our trained relocation specialists to your home to help box up your belongings and organize the move ahead of time. Our customer service sets us apart from other metro moving companies; all members of our team are always professional, friendly and helpful. Relocating to a new office space? You’ve got better things to do than worry about the move, so let our moving company handle the heavy lifting. If you’re searching for Kansas City moving companies you can trust with your commercial property? Great Day Moving® will help make your transition as easy as possible so you can keep up with your work. Unlike other moving companies, provide efficient service with attention to detail, ensuring your move is done right. What Makes Us Among Kansas City‘s Top Moving Companies? 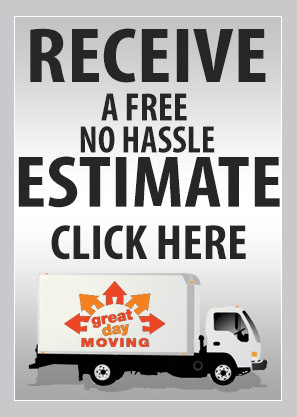 At Great Day Moving®, customer satisfaction is our top priority. The right moving company can make a huge impact on how smooth and stress-free your experience is; chances are, if you’re searching for moving companies, you realize this, too. We know that moving without help from a skilled, fully licensed, and insured moving company can be quite an ordeal and we’re here to help make the process as simple and pain-free as possible. You’ve already got enough on your plate; you don’t need the added stress of a difficult move. We’re considered one of the area’s best moving companies because we’re committed to streamlining your move. Our team of movers and packers are professional, trustworthy and hard working. Our movers are always in uniform, presentable, polite and ready to help you in any way they can. Our moving company has been officially accredited by the Better Business Bureau with an A+ rating. Team members pride themselves on completing their work without collateral damage to your belongings and clientele have taken notice of our hard work and dedication to customer satisfaction, making us one of the area’s most trusted moving companies. Our moving company has received a great deal of awards, honors and acknowledgments throughout the years. Know that your personal belongings are in good hands when you choose Great Day Moving® over Kansas City‘s other moving companies. Our moving company is flexible and versatile enough to take on any job; large or small, residential or commercial, modest or extravagant. We have a great deal of resources and services at our disposal to ensure you get exactly what you’re looking for; unlike other moving companies, we won’t stop until you’re satisfied. We are also fully licensed and insured for your peace of mind. Whether you just need a little extra support, or if you want someone else to worry about the majority of the hard work ahead, we are here to help however we can. If you have any questions, would like to consult with one of our experts, or are interested in a free estimate from one of Kansas City‘s most reputable moving companies, please don’t hesitate to contact us. If your move is fast approaching then you have no time to waste! Let’s get started today! Our moving company can help with every aspect of your move, whether it’s packing or moving your belongings. You can take a moment here to fill out our estimate form to create a plan that fits your individual needs. Don’t wait till the last minute to organize your move or contact potential moving companies! Kansas City‘s top rated moving company an help. Let our professional team of movers and packers make your transition as easy and simple as possible. Your peace of mind is of the utmost concern. Regardless of your budgetary concerns, we’re confident we can help create a plan that works for you. Don’t hesitate, contact us today and see why Kansas City families rank us among the top moving companies! Great job moving us from KC to Tulsa. Sorry we haven't thanked you earlier but we are still unpacking boxes… Your guys were efficient, courteous, and professional. Your prices were also the lowest quoted from three vendors. I would not hesitate to recommend you to anyone. Great Day Moving moved my boyfriend a couple of weeks ago and I was SO impressed! Everyone was so polite and professional! Great care was taken in loading the furniture and nothing was damaged. And to top off it all off, everything was completed with [time] to spare! I would HIGHLY recommend Great Day Moving to anyone looking to move!! Thanks so much for making our move on so easy. The two moving men you sent were very capable and efficient and a pleasure to work with. Everything went smoothly and we appreciate it. Many thanks for sending the movers my way. Those three all worked so hard, they were extremely polite and good-natured, and they finished the move in the four and a half hours you estimated. They placed all furniture exactly where I wanted it. Things were moved in good condition. In short, I'm one happy customer! You can count on my recommendation to anyone I know who may be moving.